We talk a lot about making money on the side. Many people want to earn extra money but believe they need a specialized skill. Thankfully, that’s not the case. In fact, one of the best ways to make extra money is to use readily available resources such as an extra room in your house. If you have an extra room, you can use it to make money with Airbnb. Airbnb is a company that lets people avoid expensive hotels by staying at a more affordable short-term rental. My family and I often stay at Airbnb properties when on vacation. This lets us save money, lets us prepare meals on our own, and has a homier feel than staying at a hotel. 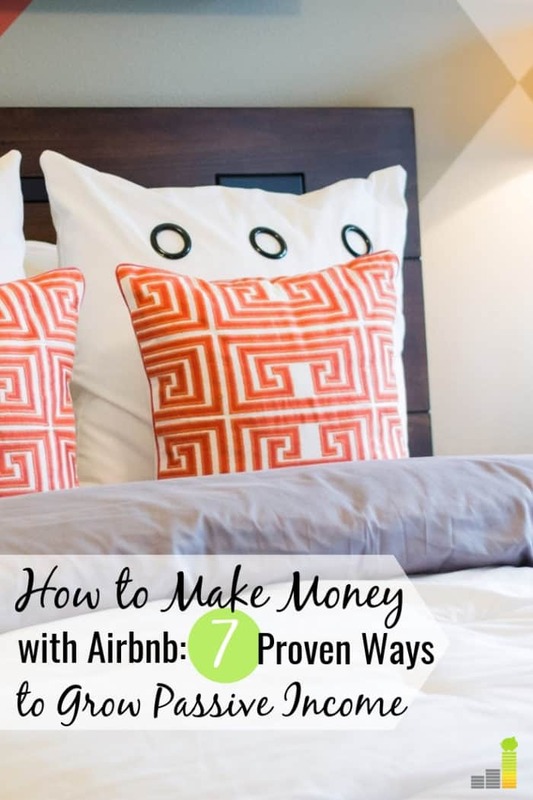 If you have a second property or a spare room you don’t use, and want to know how to make money with Airbnb, this post outlines the steps needed to create a source of passive income. As we will discuss, it’s possible to make $1,000+ each month listing your property on Airbnb. We have family that have a spare room in their condo, and have used it for years to make extra money. In speaking with them, there are few requirements to list your property on Airbnb. Each city has its own specific laws regarding short-term rentals. Go to your city’s website to read its regulations on short-term rentals. If your city allows short-term rentals, great! You then want to verify your neighborhood association allows short-term rentals. This could be more problematic, especially if you rent your residence. But if the neighborhood or homeowners association doesn’t have rules or regulations against short-term rentals, you can move to the next step. You must provide the essentials for a stay, including toilet paper, linens, soap, and at least one pillow and one towel per guest. If you can legally list your property and abide by the host requirements, it’s time to list your property and start making money with Airbnb. Make sure to check out our Airbnb host checklist for a more in-depth review of how to list your property on Airbnb to maximize earnings. The first step is to list your property on Airbnb. We will cover fees later in the post, but it’s free to list your property on Airbnb. You want to be crystal clear in your listing. Airbnb makes this relatively simple by asking you to list what type of property you have – spare room, house, condo, etc. It’s also helpful to name your property. Think of a description that will grab attention. For instance, include something attractive about your property such as proximity to a popular destination, as that will attract more prospects. Don’t overlook listing amenities you offer since those are important to most guests. Make sure to include other high-level details about your property. Guests want to know what to expect, so if your listing is missing something, they may move on to other ones. Airbnb also lets you list any house rules to help potential guests know what you expect at your property. When listing these, put yourself in your guests’ shoes. What would you expect when staying at an Airbnb? It’s likely that your potential guests expect similar things when considering different properties. This is one area I find many Airbnb hosts overlook. It can be difficult to get an idea of what a property is like without good pictures. This is a chance to let your property shine. Airbnb lets you post 24 pictures per property, so take advantage of them. You want to take pictures of each room, often from multiple angles, as well as pictures of the front part of your property. This lets prospective guests get a good idea of what the property looks like and if they can feel comfortable staying there. When we stay at an Airbnb property, we purposely avoid properties that list few pictures. We don’t want to arrive somewhere only to find it doesn’t meet our needs. If you don’t take good pictures, enlist the help of a friend or hire someone who does. You can recoup the expense within a few stays and it can positively impact future earnings. Pricing, regardless of the service you’re providing, can be tricky. You want to make as much as possible without overcharging and driving away prospective guests. Airbnb does offer pricing assistance through their ‘Smart Pricing” feature. It’s free to use and guides you through listing your property at a competitive rate. You don’t have to use it, but it can be a nice feature when first starting. Costs with stocking the property – toiletries, welcome snacks, etc. It’s impossible to get by without spending anything on your property. You also don’t want to overspend. Like pricing, you want to achieve a balance that allows you to provide an enjoyable stay without hindering your bottom line. Look for ways to save money like buying supplies in bulk or negotiating rates for cleaning. Keep in mind you may also be able to deduct expenses for business tax purposes, so keep track of all your spending. It’s highly likely your homeowner’s insurance will not cover short-term rentals. You can consider a separate business policy but consult with your city regulations first. Airbnb allows you to charge a refundable security deposit of $100 to $5,000. You can check out this helpful article from the Airbnb site to see how it works. The deposit is only used if the guest breaks an item at your property. If they don’t break anything, the deposit is returned by Airbnb after the stay. However, if they do break something, the funds are used to replace the item. It’s also helpful to have a separate savings account to cover items you need to replace through normal wear and tear. This is probably the best way to increase earnings with Airbnb, and begins prior to booking by responding to any questions a guest has. A little effort and attention have a direct impact on your earnings, so don’t overlook them. Reviews are the key to making money with Airbnb. Positive reviews go a long way to encourage more prospective guests to stay at your property versus another one. This directly impacts how much you can make with Airbnb. When we look for a property, we don’t even consider properties with less than ten positive reviews. This helps us weed out properties that are new, or those with less than positive ratings. Speaking with other Airbnb users, I know many use similar parameters when booking a place. You can even follow up with guests after their stay letting them know you left them a review and would love one in return. Not only does this communicate you care about their experience, it also encourages positive reviews. Like it or not, you must pay taxes on your Airbnb income. Airbnb typically requires a W-9 when listing a property, and they will send you a 1099 at the beginning of the year. What percentage does AirBNB take? Now that we know how to make money with Airbnb, it’s important to know how Airbnb makes its money. While listing your property on Airbnb is free of charge, every time your property is booked, Airbnb charges you three percent of the income. That three percent is taken from your overall payout, and helps the Airbnb platform make a profit. make money. As you can see, Airbnb makes it fairly simple to receive payment. We typically use Airbnb for vacations. The industry is built on that for most hosts. As you can see, there are many reasons why someone might choose to stay at a short-term rental rather than a hotel. This provides ample opportunity to make money with Airbnb. How Much Money Can You Make on Airbnb? You may be asking “How much money can I make with Airbnb?” and wonder if it’s truly a good way to make extra money. That’s a fair question, given the fact that you’re listing a spare room in your house or a second property. If you have enough listings and are at full capacity on a regular basis, it’s possible to earn six figures per year as an Airbnb host. Each situation varies, but as you can see, it’s not unheard of to make around $1,000 per month as an Airbnb host. This can be a great source of relatively passive income you can use to reach other financial goals. Passive income is the holy grail of making extra money. Making extra money on the side is a good thing to do, but many side hustles require you use your time or efforts to make it possible. That is often not the case with making money with Airbnb. 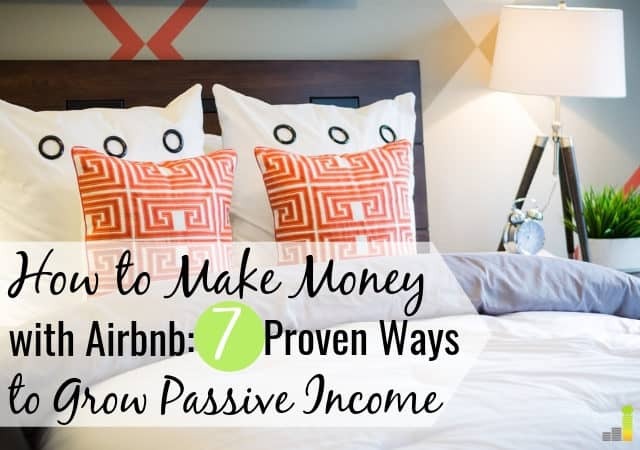 In fact, being an Airbnb host is one of the best passive income ideas to pursue. The work and marketing behind getting guests is all done largely through the Airbnb platform. There also is not much regular upkeep needed with an Airbnb property. You obviously need to clean the property after each guest, but that is also something you can hire out to further reduce your need to work. This lets you earn money with limited effort and supplement your income. If you want to make money with Airbnb, it can be a great way to use a spare room or second property and create a passive income stream. Do you think it’s possible for you to make money with Airbnb? What other sources of passive income do you pursue? Would you ever consider renting a spare room in your house to a stranger?